The days of fumbling through your wallet in search of the right credit card could be over. Smart cards have arrived on the scene to offer a new option. This technology stores all your credit card information -- as well as debit cards and reward cards -- in one place. "There are a bunch of companies that are doing this. It's basically one plastic credit card," CNET senior editor Dan Ackerman told "CBS This Morning," holding up a smart card the same size and shape as a regular card. "This is the Stratos card and you have a little card swiper that plugs into your phone, like someone using a little credit card reader," he said. "You just swipe all your cards thru it into an app and then they are all stored on here." Ackerman said the devices, which also are being offered by companies including Coin, Plastc and Swyp, can be purchased for around $100. Most of them have iPhone apps and will be available forAndroid.. In many ways, Ackerman says they are more secure than a traditional credit card, since there is no credit card number that could be copied by an unscrupulous vendor. The smart card generates a one-time code each time it's used, and can be deactivated if lost. "People have that concern with anything kind of electronic payment related," Ackerman said. "In this case, you are swiping your own cards into your own phone and that is where the data is kept. Just like Apple Pay, a lot of these cards will send kind of a temporary number to a vendor or somebody you are buying something from and, of course, you don't have the card number on the card itself so you have a little extra security that way." Still, smart cards have their own problems. They aren't yet offering what is called EMV, or EuroPay Mastercard Visa standard, which should be embraced by the American credit card industry in the coming months. EMV promises greater security through small microchips embedded in plastic. Without the chips, smart card users will still need to carry a backup card. 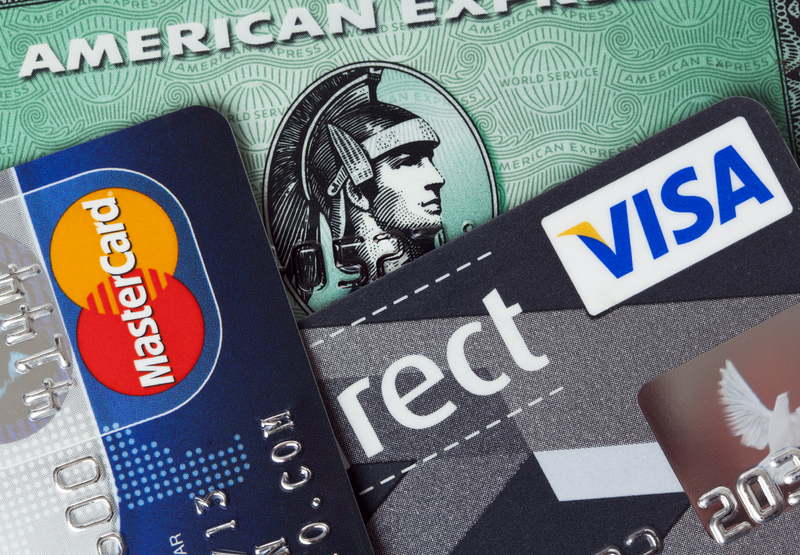 "Credit cards are changing. If you get a new card, it's got this chip right in the front. They call that chip-and-pin in a lot of places," Ackerman said. "By later this year, stores are going to be required to have the machine that you dip the card into rather than swipe it," he said. "These first generation smart cards actually don't have that. All the companies have a different story about when they are going to add this technology. So, if you do invest in a smart card now, you may have to replace it in a year or so." The smart cards are seen by some as a potential challenger to Apple Pay, which so far has had limited reach because it requires a late-model iPhone and can only be used at stores that accept the service. But Ackerman said he envisions a world where the two will likely coexist. "I think in the future, we're going to pay for things one of two ways. One is like Apple Pay, it's strictly on your phone. You tap your phone, you hold it up, you use your fingerprint on it," he said. "Or it's something like this where it's just one card or one device that you carry with you." Together, they could make wallets a thing of the past. "The most archaic thing we do not is carry around these little pieces of folded leather in our pockets full of these cards and bits of paper," he said. "I can't believe we're still doing that now in 2015."